These days, with hacks and spams on the rise, most of the individuals are concerned (and rightly so) about their online privacy (and are on a lookup of anonymous web browsers, consistently). 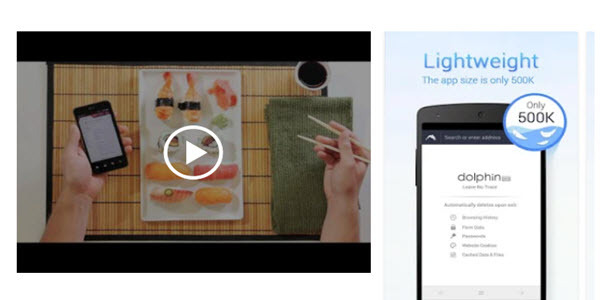 Consequently, the dramatic increase in smart devices usage has opened us to more risks. 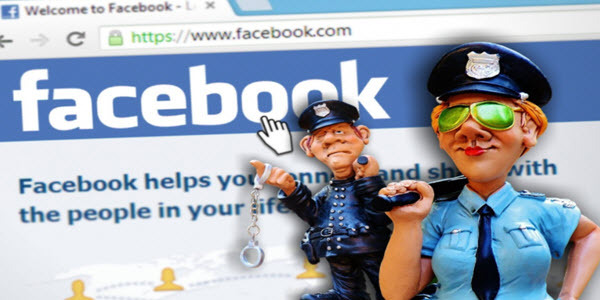 The reason is, government officials are operating surveillance program (hint: NSA mass surveillance) and are working with ISP’s to tap on users date for a long time. Data retention law and mass surveillance program allow ISPs to keep a user’s browser history. Government agencies are continually spying on users’ browsing activities. In fact, not just the official agencies, cybercriminals are also in search of insecure browsers so that they can attack existing vulnerabilities. What will you do to keep your data safe then? Well, we don’t know about your reaction exactly. However, we have found an inkling that people from all around the world are switching to secure web browsers that have robust privacy features to keep their data safe from prying eyes. Secure browsers might not be as fully-featured as your regular browsers are to please your eyes, but can give you great peace of mind by making sure your internet browsing remains private. A browser is a home to several gaming stores, apps, and web pages. So we cannot give up on it, no way. Indeed, the problem is, most of the users are blemished for their choice when picking up a browser as there is an extensive range. But not all are as good as they claim! Now you might ask, which browser is best for security? Although, no browser provides 100% privacy. Still, some browsers promise to offer private and much safer experience as you surf the world wide web. Moreover, few offer unique build-in privacy feature such as pre-installed Virtual Private Networks (VPN). The thing to note is, it all adds up another layer of privacy that may result in more internet usage too – which, still, is worth it. What is wrong with regular browsers? What makes Tor network different from other browsers? According to several reports from past, company-owned browsers like Safari, Chrome, and Edge have privacy concerns. Who knows that Google fully cooperates with the NSA’s PRISM mass surveillance act? After all, it is headquartered in the United States! You can read the breakdown details of Google as to how it affects the user’s privacy here. Many security experts believe chrome works as spyware for Google that spies on users behavior to enable the social giant to deliver customized ads to everyday users. But yet, it offers user-controlled privacy setting options. Having the user-controlled privacy setting in hand, you ‘literally’ loudly say Google ‘Not’ to monitor your browser activities anyway. Coming back to the point, let’s unveil some big browsers – together! Microsoft’s internet browser cannot be trusted as it is at a similar stage to Google. Opera has stated that it collects the personal data of users. Putting topping on the cake, Opera is now owned by the Chinese association. Still, all the browsers mentioned above are widely used by users (in fact, we at SpyAdvice use Chrome too, with some privacy and security tightening, of course though). Are you curious to know what the popular browsers of 2018 are? If yes, then without any further ado let’s discover all of them with their usage percentage – right below. So, let’s take a look at the most popular browsers as per the statistics of January 2018. Do you think popular browsers promise to offer 100% privacy? If yes, then you are wrong because we have an authentic hypothesis to prove you wrong. Sorry. Well, as we know Google Chrome is the most popular browser available today, but it may not be the most secure one. In fact, other web browsers are less vulnerable to attack. So, the popular choice may not be the right pick. In fact, the popularity of a web browser makes it more appealing for the hackers to attack. Consequently, Google Chrome gets regularly updated when compared to other major web browsers. Of course, it is not a bad thing at all – in fact, a thing we all must praise. Although, it shows that Google Chrome is committed to keeping its users secure by updating the OS frequently. However, it gives you an idea of threats that are being planned continually against the giant web browser. The good thing is, no matter whichever browser you use there are several ways with which you can protect your privacy online at maximum. But as a rule of thumb, you should enable the automatic updates to ensure you are using the latest version. For instance, Code Red successfully harmed the Windows NT computers in massive amount. Even though, Microsoft released a new patch against the virus few months before the attack. So how come Windows NT got infected? Strange. Having said that all, I think now you are smart enough to differentiate between Popularity and security. Of course, you are, aren’t you? Now below we go with covering 13 best secure browsers that you can use to keep your internet activities private, and ultimately have the privacy you deserve online. Tor (The Onion Router) browser is a secure network having a simple goal: anonymity and privacy. Talking about its history, the browser got developed after a substantial increase in security issues of the Internet users. Ever since it came to the light, Tor browser has stood tall as the top browser for complete anonymity. The widely used secure browser promises to protect users’ browsing history, online privacy, massages, and their location from any person performing traffic analysis. Lately, Tor network has been in the talk due to its technical capabilities and awareness. 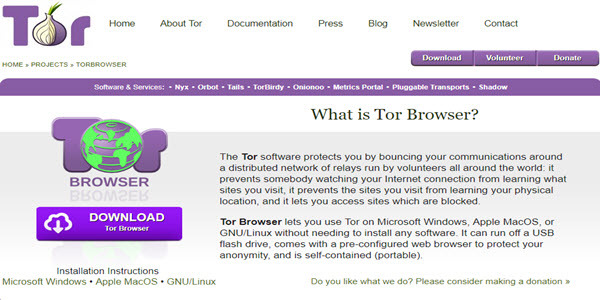 Regular internet users seeking for privacy install Tor browser for anonymity and privacy, and it serves well. Tor browser is a distributed network relay that protects your internet activities from all third-party tracking, let it be surveillance agencies, hackers or even ISPs. In fact, it creates an encrypted channel for sending and receiving data that evade the prying eyes from spying on your internet connection. Subsequently, the website you visit gets hidden automatically alongside your real location. Moreover, it allows the users to unblock any blocked website on their device. Tor network increases your online privacy and protects you against the NSA surveillance program (and other similar ones, of course). What it does is, it transfers the internet connection from various locations and hides the communication source. The Tor browser comes with pre-configured privacy features to protect your anonymity, and you can use it without installing the software on Linux, Windows, and Mac. Also, it can run from a USB pen drive. Now let’s take a look at its working principle in the section right below. Tor browser is also known as “Onion Router” because it works on the principle of Onion routing. In a word, its structure is similar to onion router. The data gets encrypted multiple times by these (onion layers) layers and then it is sent through virtual circuit. At any rate, data gets decrypted before passing on to the next level by the receiver. In this process, decryption of layers is done efficiently as good as the location of the user is hidden and the IP does not reveal either. Hence, this all stops the monitoring eyes to look at the websites you visit and prevents them from watching your online activities. One disadvantage of Tor browser is, it is not as featured as Firefox or Chrome – but anyway, as you are here, privacy must be your priority. Got you? The Tor browser is mostly used in countries where freedom over the Internet is restricted. 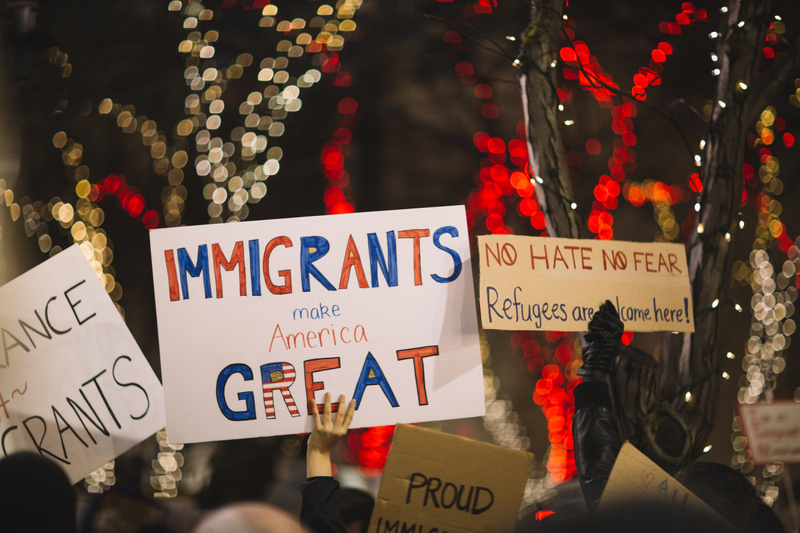 For example, when Chinese citizens are not able to access website pages because of censorship laws – then in these circumstances the Tor browser comes into play. Edward Snowden AKA “Whistleblower” also uses this privacy browser and, in fact, he revealed the NSA’s PRISM act through the Tor browser. And hence no surprises; to protect privacy in this digital spying era, many people use Tor browser. The Epic privacy browser does not use onion network, but it immediately disables a lot of common elements that put your privacy at risk while surfing the Internet. It is a chromium-based technology, which does not allow third-party cookies and doesn’t save your browsing history. One of the main features that make it one of the most secure web browsers is, it deletes all the browsing data while using the internet and keeps a low amount of browsing history. 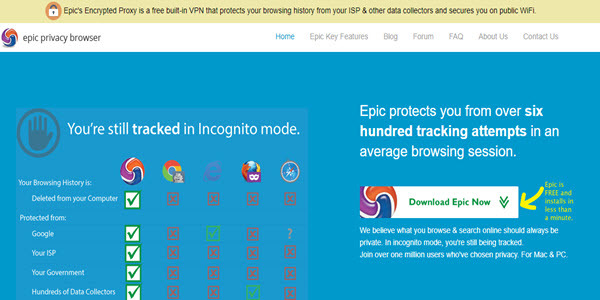 This browser uses an encrypted proxy to encrypt your browsing data and hide your IP address. There are no DNS caches, too. That adds an extra layer of protection from data snoopers and ISPs (Internet service provider). Nevertheless, while using Epic browser your search remains private and secured. It doesn’t allow even the search engines to keep your actual IP address. This browser is chromium based technology and is one of the most secure web browsers, at least, as far as our tests are concerned. However, it doesn’t match the Epic and Tor browser. But it has specialized features that make your browsing more secure and private. Comodo web browser offers you the superior speed with its encrypted tunneling to transfer the traffic securely. The browser offers SSL and domain verification, secure DNS, blocks all cookies, and on-site malware scanning. Its customizable add-ons and plugins make it more user-friendly for the beginners. Moreover, it prevents ISPs and cookies from monitoring you. Another exciting thing about Comodo browser is, it uses a verification technology to separate substandard and standard SSL certificates. 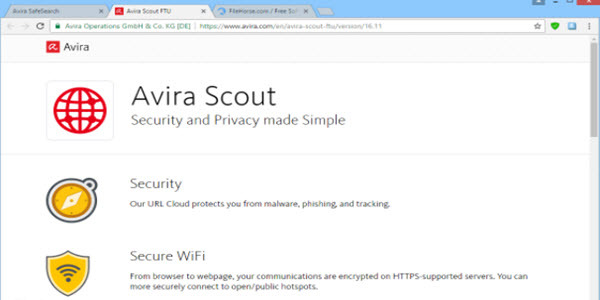 A German antivirus company developed the Avira scout browser. Avira scout is chromium based devoted web browser and is rated as the most secure browser by many trusted sources online (not just us). Besides, it provides a range of third-party security plugins having additional features within the web browser. Also, it blocks the phishing websites to provide the users a secure web browsing experience. Avira safe search secures Wi-Fi by implementing HTTPS while surfing the sites with anti-tracking ability. All in all, this browser provides multiple layers of protection without interrupting into the user’s online activity. The Iron browser is chromium based (as like the few above ones) and a security-focused web browser that promises to protect your data by using different security protocols. The browser offers extensions, privacy settings, and customizable developer tools. Unlike Chrome, it has deleted privacy compromising functions for the wellness of users. While many other browsers only give you the opportunity to disable ads by installing extensions; it has a built-in feature to block the unwanted ads. 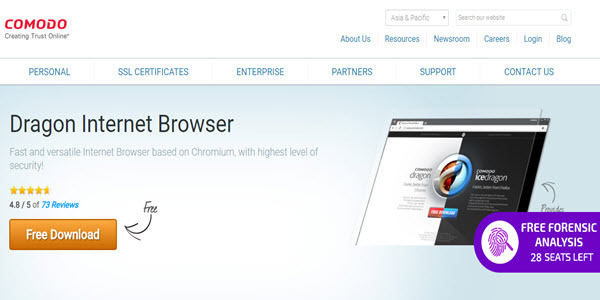 In summary, SRWare is a top browser for security with innovative features and sleek design. It also creates a different ID for the users and submits it to Google for giving suggestions. But still, we did not like it much. Because it is an open source program but still has not released its source – for years now. Also, even though SRWare claims to be a secure Chrome alternative – but we do not think the browser offers things that one can not get after tightening up Chrome’s privacy settings. Brave is an open source code and a chromium-based browser. It supports Firefox project and offers an excellent Internet speed, ad-blocker, script blocker, HTTPS functionality and WebRTC protection. 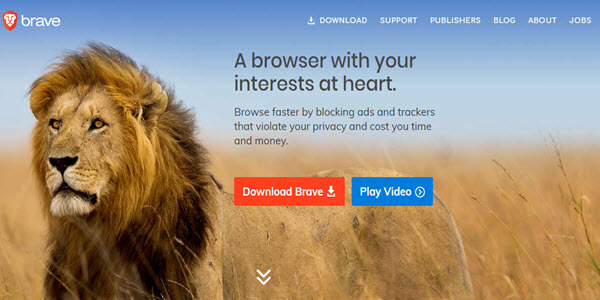 Brave is an emerging most secure web browser that you can install on Mac, Linux, and windows. The browser has a group of designers working continually to enhance the program further. The Dooble browser is a lean multi-stage chromium program that is not for everyone considering its security highlights. It supports OSX, Linux, and Windows. You can control privacy configuration of your Dooble browser from its security tab that also has the settings profusion. Besides, the browser uses supreme encryption to keep users’ surfing safe. Dooble network deals with cookies in a granular way and expects the users to travel in an offline mode. The program can block all outsider sessions iFrame, which adds yet another layer of security to user’s privacy. The innovative element of this browser is that the history and bookmarks of all users can be encoded using different methods and passphrases. Another exciting feature of is is to set security measure, for example, private browsing for every new tab by using right-click alternative. The Yandex browser provides a usable interface that does not wander away to a long way from the sustenance of Google Chrome. It is perfect for people that are curious about their privacy while surfing the Internet and still do not want to see techy-interface. 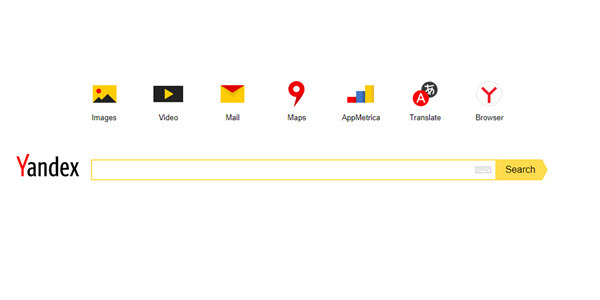 Perhaps that is the reason why Yandex is making its place among the top secure browsers on the market rapidly. This browser is also based on chromium technology, and on top, uses a Kaspersky antivirus to examine a suspicious element. Yandex uses Opera Mini’s turbo feature to improve web pages that do not meet the user’s expectations. Additionally, it gives DNS leak protection that ensures your passwords and sensitive information such as banking details remain safe. Approaching the end (almost there) of our best secure browsers roundup, here we have one which does what its name hints. 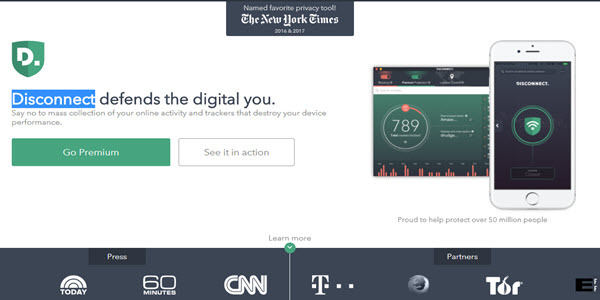 The Disconnect browser uses a technology that blocks the corporations that are spying on public data. In fact, it disconnects you from such websites that store your private data. While surfing the internet through Disconnect browser, you will view multiple messages showing particular website endeavors tracking your browsing activities. The browser will end communication with particular websites that can hamper your Internet connection and harm your privacy in any way possible. As the name suggests, Waterfox is a Firefox-based and open source code web browser. It disables web runtime, provides encrypted media extensions, deletes data collection and telemetry on websites you visit. In the past, Waterfox faced some security issues; however, that affected only a few users. The problem with this web browser is that it is stuck on the Firefox version 56 and may face more security implications in the future. You can use Waterfox on Windows, Linux, Mac, and Android. 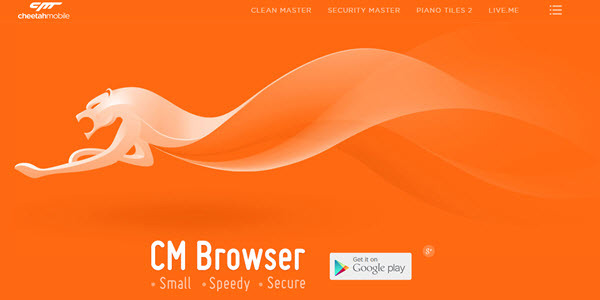 The CM Browser provides you with a built-in security program that scans all downloads from your web browser. It also allows you to protect your browser with a pattern lock. Moreover, it offers other features such as clearing the history automatically and disabling the cookies, built-in ad blocker, search using the voice, translator page – and the main feature that makes it a feature-rich secure web browser is its desktop mode. These features make CM browser more user-friendly for the beginners among different emerging alternative browsers, it currently supports Android only. Unlike the other browsers in this roundup, the Pale moon is highly customizable and lightweight fork for Firefox. 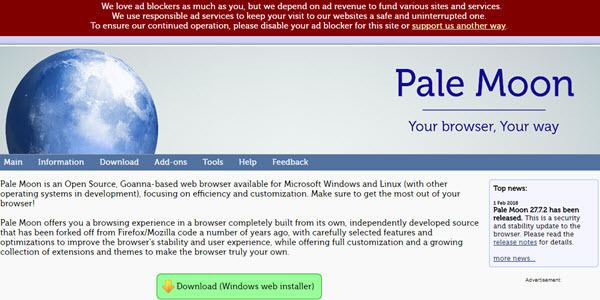 The codes of Pale moon browser have substantially diverged comparatively to the Waterfox and other emerging browsers. The browser is not compatible with latest Firefox version; Pale Moon has been mostly updated with the codes from the recent versions of Mozilla Firefox – the ones that are older than Firefox 56. Lastly, it is an open source program. The Dolphin Zero is a lightweight web browser. Likewise, it only offers the features that are similar to any other standard (like Firefox, Chrome, Safari, and Opera, etc.) web browser working in the incognito variant. While using this browser, you will enjoy blazing speed, flash support, add-on support, gesture support, and tabs. While using Dolphin Zero, all your browsing activities including passwords, cache, and cookies get deleted on exit (as soon as you end your session). 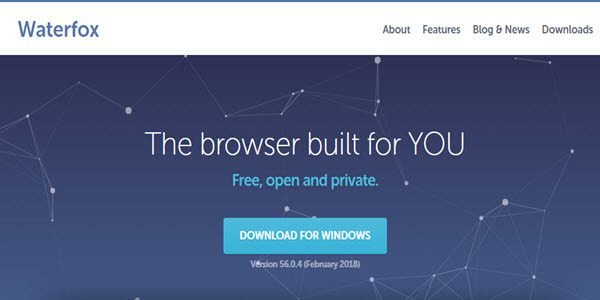 This lightweight secure web browser is compatible with Mac, Windows, and Linux. Again, as stated above, no browser is 100% secure – so you don’t have to change the browser. Indeed, you can take some precautions to make your existing browser secure. Now you will think that what are those precautions and how can I secure my browser. You don’t need to panic because we have covered some basic facts to make your browser less vulnerable to privacy-leaks. Let’s take a quick look at them, below. First and foremost, you must have your browser’s auto-update enabled. Second, you should install antivirus and antimalware software – free versions of Avast, Bitdefender, and Malwarebytes are good options to start with. Third, you need be cautious when sharing any of your information online. Subsequently, let us recommend you some add-ons that will reduce the risk of your essential information getting stolen and will improve your browser’s security. LastPass: It helps you create a complicated password for every site you create an account on, and stores all of your passwords in an encrypted tunnel. With LastPass, you end up getting rid off of all your password-worries – from generating a secure password to storing it and to auto-filling on the sites, everything gets done by the addon! You don’t have to memorize all your long passwords; you just need to remember the master password to log into LastPass (and only for once unless you log it out from your browser). 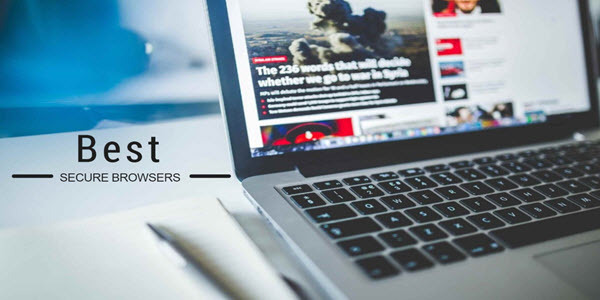 Adblock Plus: This cool tiny extension blocks intrusive ads and allows you to browse anonymously and without having to worry about annoying ads. As you have made till this, one thing is sure – you are among the ones who genuinely understand why privacy matters. Great! So, all done, we highlighted the best secure web browsers for 2018 in this roundup to help you stay protected while surfing the internet. Almost all the best security-focused browsers included in this roundup are open-source and provide better security as compared to typical browsers such as Chrome, Safari, and Edge. It’s good to have these browsers as an alternative option because the standard browsers are having some real issues these days, take Firefox as an example. Even though the practices given above require some efforts but they are worth it anyway. So, which browser you use when you are looking for anonymity and privacy online? Do you have any other browser in mind that you think deserves to be in this roundup of top secure browsers? If yes, then let us know about it in the comment section right below (and we will add that after testing, as we aim at keeping all our articles update always).